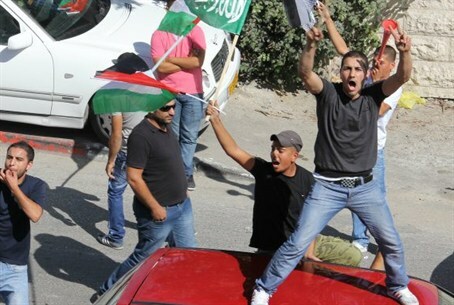 As Gilad Shalit came home, Arabs celebrated the freeing of 477 unrepentant terrorist murderers. As Gilad Shalit was returning home after 1,941 days in Hamas captivity on Tuesday, Israel freed 477 of the 1,027 terrorists that are to be released as part of the deal for his return. The deal was celebrated throughout the Arab world, including in the Arab neighborhood of Ras al-Amud in Jerusalem. Arutz Sheva lets you see for yourself. Below are photos of the Arab celebrations in an East Jerusalem neighborhood, honoring possibly the most despicable exemplars of the vicious murder of innocents the world has ever known.